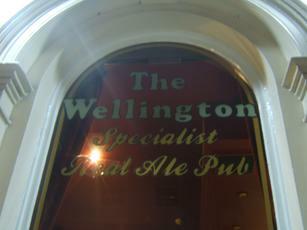 I was really excited about visiting the Wellington but for some reason it just didn't do it for me. Can't quite put my finger on why as there was an extensive selection of beer on offer. Maybe I will have to give it another go and prove myself wrong. 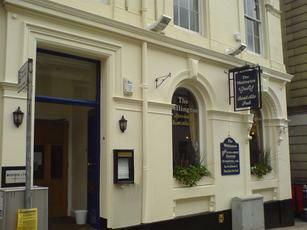 A remarkable range of real ales (16 when I was there recently) makes this a must-visit place. Helpful staff and no "music" as well. They have resisted the gastropub tide by not serving food at all, but you can bring food in from the Philpotts down the street. I went in here for the first time in several years. Not much has changed (except that the screens showing the beers available seem smaller). 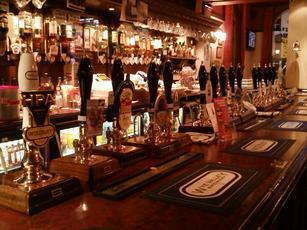 So plenty of reasonably priced real ales (with rather a lot of Black Country). 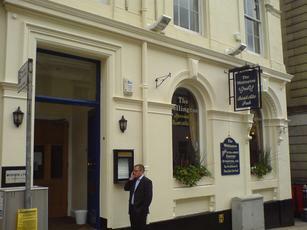 One thing I discovered: the back entrance is very close to the back entrance to the Old Joint Stock. 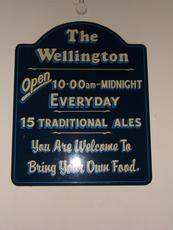 Excellent ale house with a great choice of beers in excellent condition. Enjoyed an excellent pint of Titanic Raspberry Wheat. Friendly, knowledgeable staff and a relaxing atmosphere. 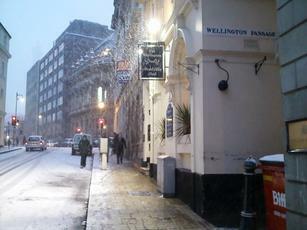 A must visit when in the city centre. 10/10. 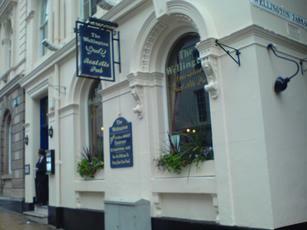 The Wellington is always worth a visit in Birmingham, if you're into real ale. There's plenty of them - Wye Valley HPA, Black Country BFG, Pig on the Wall & Fireside, Purity Mad Goose, Froth Blowers Piffle Snonker, Malvern Hills Radar Love, Burton Bridge Top Dog Stout, Kendricks Winter Warmer, Derby Penny's Porter, Abbeydale/Brewdog/Skull and Bones Boys Club Chockwork Orange, Elland White Prussian, Beowulf Dark Raven & Small World Long Moor Pale. Ciders were Springfield Wobbly Monk, Hairy Ferret Cherry & Farmer Jims Copper Top. The clientele was as varied as ever, with people gathering for a folk evening and mingling with football fans. It was busy for a Tuesday evening. Quality pub.